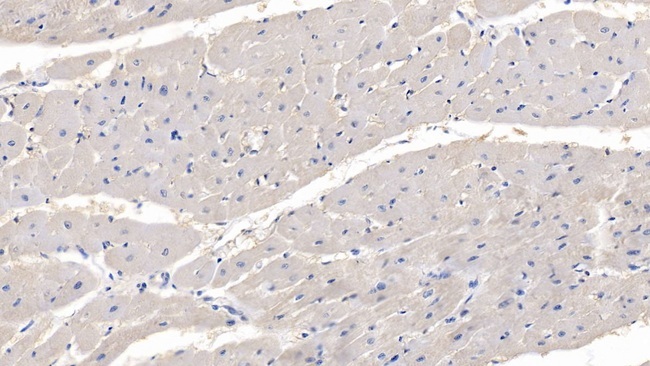 Myocilin antibody LS-C719133 is an APC-conjugated rabbit polyclonal antibody to human Myocilin (MYOC). Validated for IHC and WB. Allophycocyanin. 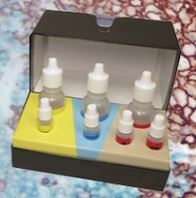 Also available Unconjugated or conjugated with Biotin, FITC, Biotin, FITC, Cy3, HRP, PE, APC, Cy7. 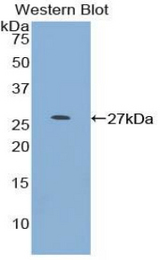 MYOC / Myocilin antibody was raised against recombinant MYOC (Ala224-Tyr471) expressed in E. coli. The antibody is a rabbit polyclonal antibody raised against MYOC. 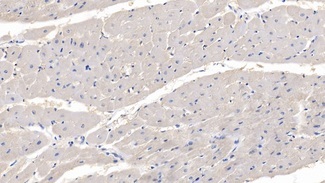 It has been selected for its ability to recognize MYOC in immunohistochemical staining and western blotting. Western Blot; Sample: Lane1: Human Lung Tissue; Lane2: Human Heart Tissue. Western Blot; Sample: Recombinant MYOC, Human. 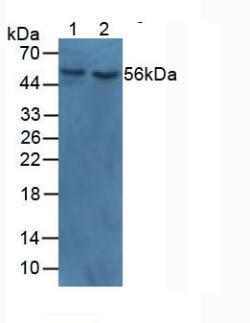 Western blot of recombinant MYOC / Myocilin. This image was taken for the unconjugated form of this product. Other forms have not been tested.